He was born in Bobryusk (Bobruysk), Byelorussia. His father Yosef was one of the first members of the Bnei Moshe (Children of Moses) group and a delegate to Zionist congresses. Dobkin studied in religious primary schools and in a secular high school in Bobryusk, and he later studied law at Kharkov University. At the time of the October Revolution, he moved to Poland. Over the years 1921-1931, he was secretary of the international center of Haḥaluts (The pioneers). At the same time he was also active in HIAS (Hebrew Immigrant Aid Society) and ORT (Association for the Promotion of Skilled Trades). In 1932 he settled in Israel. He was selected there onto the council of Histradrut Haovdim (Federation of labor), and he directed its center for aliya. 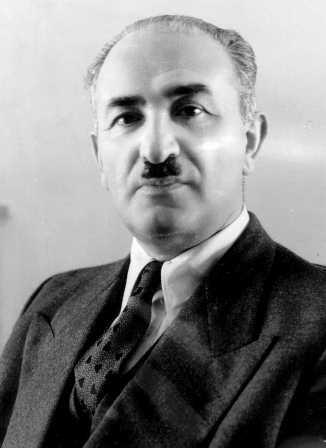 He was a delegate to Zionist congresses, and in 1933 a member of the action committee and director of the aliya division of the Jewish Agency. During the Nazi years, he organized the administration of Youth Aliya, and after the war he was active in rendering assistance to survivors to make aliya. He assumed a leading position in national and community life in the state of Israel. In 1945 his Hebrew-language book, Haaliya ṿehahatsala bishenot hashoa (Aliya and rescue during the Holocaust) (Jerusalem, 128 pp.). He wrote in Yiddish for virtually the entire press of the Zionist workers’ movement, such as: Dos vort (The word) (Warsaw, 1933-1934); Dos naye vort (The new word) (Warsaw, 1935-1937); Bafrayung (Liberation) and Arbeter shtime (Voice in labor) (Warsaw, 1934-1939); and in the Yiddish supplement for Heatid (The future) (Warsaw). He was also the author of the Yiddish brochure Di antviklung (The development) (1932). He was living in Israel. Sources: D. Tidhar, in Entsiklopedyah leḥalutse hayishuv uvonav (Encyclopedia of the pioneers and builders of the yishuv), vol. 3 (Tel Aviv, 1949), p. 1374; Who’s Who in World Jewry (New York, 1955).